Mad as a cut snake? "In my view Clinton is as mad as a cut snake. You will see through these documents that the emphasis is entirely on Israel's interests, not America's, and whatever she thinks they are not the same. Of course she is completely in the hands of the Zionist lobby, as was Australia's recent Prime Minister Gillard, who lent her services to the Clinton campaign. But then Clinton is in the hands of anyone with money and the power to swing votes. She talks of Israel's security dilemma. Well, that's a good one: a state with an estimated 200-400 nuclear weapons (yes, a couple would be enough) facing states without even one has a security dilemma? She talks of trading off Syria for Iran, i.e. if the United States removes Bashar al-Assad then Israel might not attack Iran. We know this is what both Israel and Saudi Arabia were encouraging in the time of the Bush administration. They wanted the U.S. to do it. Can anyone imagine what the consequences would be of military strikes on live nuclear reactors? Yet here Clinton talks of such a war as if it's something on the supermarket shelf she can't decide whether to pick up. In the second email, she talks of U.S. reluctance to launch an air war on Syria. In fact that is exactly what it wanted, but was blocked by Russia. (Thank heavens!) Never mind, says Clinton, we can do it without the U.N. and Russia won't object. Iran has been inspected and reinspected for nuclear weapons, revealing none, like the weapons of mass destructionn (WMDs) that did not exist in Iraq, but these two emails from Hillary Clinton (recently available by Wikileaks) reveal a focus on the idea that Iran may develop nuclear weapons capability. Israel is not officially supposed to have nuclear weapons, but Mordechai Vanunu, a former Israeli nuclear technician and peace activist revealed details of Israel's nuclear weapons program to the British press in 1986. In Hillary Clinton's emails below, which were written in 2012, she operates on the premise that Israel has nuclear weapons and that the United States approves of this and wants Israel to maintain nuclear hegemony in the region. She sees solidarity between Iran and Syria as inimical to this state of affairs, reflecting the US claim that Iran aims to develop nuclear weapons as a deterrent to Israel bossing the region around. She says, "The result would be a precarious nuclear balance in which Israel could not respond to provocations with conventional military strikes on Syria and Lebanon, as it can today." Of course its Arab enemies accuse Israel itself of provocation and Israel has a history of acts of terrorism. Hillary Clinton also suggests that, if Iran got nuclear weapons then Saudi Arabia might expect nuclear weapons. 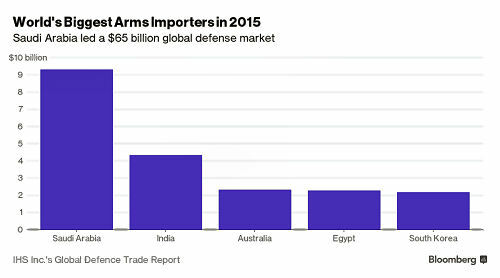 But that hasn't stopped the United States supplying Saudi Arabia with every other kind of weapon, as its top world customer. She also claims that Russia would not "stand in the way" if the [United States] were to intervene in Syria (meaning stoke war there). But she is writing some time in May 2012 and Putin only became Russian president in May 2012. (Relatedly, Clinton also reveals that she knew the US had stirred the pot in Kosovo.) These emails are now about four years and a few months old. Since Hillary wrote them, we have seen that Russia finally did intervene in Syria, although it stayed out of that fight for as long as possible. It unwisely failed to veto US interference in Libya, but the consequences of US/NATO intervention in Libya were so horrible that it became unlikely that Putin would go along with such a thing again. 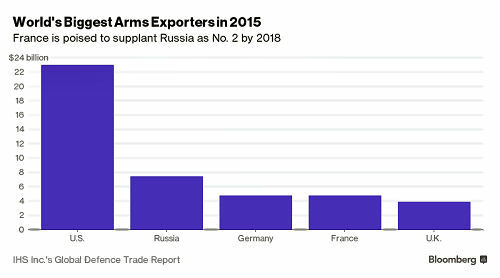 US interference in Ukraine put Russia in a position where it had to draw a line as it became clear that the US was surrounding Russia with military bases and attempting, through NATO, to alienate Russia's allies and trade partners. It seems that Hillary's United States wants to use Israel to promote its own interests in the Middle East but this would go against Russia's and Arab interests, with the exception of Arab states, such as Qatar and Saudi Arabia, which have aligned with Israel and the United States/NATO. Qatar and Saudi Arabia are financing religious terrorism (ISIS and others) against Syria, Iraq and Libya. Turkey, led by a pro-Muslim Brotherhood president, was seen as a US/NATO ally and was benefiting by buying cheap oil through ISIS but it relies a lot on trade with Russia and recently has apologised to Russia for shooting down a Russian plane. Hillary's reductionist descriptions of the presidents of the only two secular states in the Middle East - Libya (now destroyed by US/NATO) and Syria - as brutal dictators - are being used to justify her recommendation of US intervention to create civil wars all over the Middle East and to destroy Syria and isolate Iran. Going into the future, towards this scenario, Saudi Arabia has been allowed to maintain among the most brutal regimes on the planet, with total subjugation of women as slaves; it has been allowed to engage in genocidal war in Yemen, not only with impunity, but Mr Trad, Saudi Arabia’s ambassador at the UN in Geneva, was elected as chair of a panel of independent experts on the UN Human Rights Council in June 2014. Meanwhile Ms Clinton is part of a U.S./NATO wolf-pack that pretends to be 'intervening' in the Middle East to rid it of 'brutal dictators'. What can we make of these emails, of the woman who wrote them, of the country that she represented as Secretary of State, of her candidacy for its president? For what reason should the world allow Israel to defend its position and call the shots in the region, on behalf of non-regional players who are interested in controlling the region's oil and challenging Russia and China's interests in the region? It seems obvious that Israel must share some of its territory with a new Arab state called Palestine, sooner or later, and disarm its nuclear stores. It seems obvious that the United States should establish good relations with Russia, which could help balance out expansionary ideas in China or for a caliphate in a damaged Middle East, instead of ramping up its military displays in Europe and pushing at Russia's borders. Iran's nuclear program and Syria's civil war may seem unconnected, but they are. For Israeli leaders, the real threat from a nuclear-armed Iran is not the prospect of an insane Iranian leader launching an unprovoked Iranian nuclear attack on Israel that would lead to the annihilation of both countries. What Israeli military leaders really worry about -- but cannot talk about -- is losing their nuclear monopoly. An Iranian nuclear weapons capability would not only end that nuclear monopoly but could also prompt other adversaries, like Saudi Arabia and Egypt, to go nuclear as well. The result would be a precarious nuclear balance in which Israel could not respond to provocations with conventional military strikes on Syria and Lebanon, as it can today. The second step is to develop international support for a coalition air operation. Russia will never support such a mission, so there is no point operating through the UN Security Council. Some argue that U.S. involvement risks a wider war with Russia. But the Kosovo example shows otherwise. In that case, Russia had genuine ethnic and political ties to the Serbs, which don't exist between Russia and Syria, and even then Russia did little more than complain. Russian officials have already acknowledged they won't stand in the way if intervention comes. murder at the hands of the Assad regime (10,000 have already been killed in this first year of civil war). Wikileaks has launched a searchable archive for 30,322 emails & email attachments sent to and from Hillary Clinton's private email server while she was Secretary of State. Mordechai Vanunu (Hebrew: מרדכי ואנונו‎‎; born 14 October 1954), also known as John Crossman, is an Israeli former nuclear technician and peace activist who, citing his opposition to weapons of mass destruction, revealed details of Israel's nuclear weapons program to the British press in 1986. He was subsequently lured to Italy by a Mossad agent, where he was drugged and abducted by Israeli intelligence agents. He was transported to Israel and ultimately convicted in a trial that was held behind closed doors. In 2007, Vanunu was sentenced to six months in prison for violating terms of his parole. The sentence was considered unusual even by the prosecution who expected a suspended sentence. In response, Amnesty International issued a press release on 2 July 2007, stating that "The organisation considers Mordechai Vanunu to be a prisoner of conscience and calls for his immediate and unconditional release." In May 2010, Vanunu was arrested and sentenced to three months in jail on a charge that he met foreigners in violation of conditions of his 2004 release from jail. See, "Does Bashar al-Assad really have to go? Trump vs Clinton: has the alternative newsmedia lost the plot? Given America's undemocratic first-past-the-post voting system, a high vote for small party candidates will at best turn the Presidential election into a lottery. At worst, it will give Hillary Clinton victory over Donald Trump. This obvious fact is lost on those, including PressTV and Global Research, who advocate a vote for Jill Stein, whom they claim is better than both Hillary Clinton and Donald Trump. In the 24:18 minute PressTV video debate of 5 August 2016, supposedly about electoral fraud in the United States, no mention is made of the undemocratic first-past-the-post system. Given the small vote for minor parties in all previous presidential elections, the chance of Jill Stein winning the election is practically nil. Given Hillary Clinton's record including her role in starting wars that have cost hundreds of thousands of lives in Iraq, Libya, the former Yugoslavia republics, Syria and elsewhere and given that Hillary Clinton was filmed in 2012 actually laughing at the prospect of America launching a war against Iran (see below for YouTube video uploaded in Oct 2012), almost any other candidate for President would be preferable to Hillary Clinton. However, Republican candidate Donald Trump is not just any other candidate. For all his apparently macho and hawkish bluster against Iran and terrorism in general, Donald Trump has rightly denounced Hillary Clinton as the founder of ISIS, has supported Russia's actions against ISIS terrorists in Syria. He has also challenged historical orthodoxies of the ruling elites, for example on the murder of JFK. Donald Trump has also taken the politically incorrect stance of opposing high immigration across the Mexican border into the United States. He opposes high immigration in order to protect native American workers from having their wages driven down. For this he has been denounced as racist and xenophobic by the otherwise informative and insightful news services such as PressTV and Global Research. For the alternative newsmedia to advocate a vote for minor candidates such as Jill Stein, and not for Donald Trump, could make victory by proven warmonger Hillary Clinton on 8 November more likely. The claim that Donald Trump (in addition to Bill Clinton and George W. Bush) dodged the draft during the Vietnam War is yet another red herring in the campaign to save war criminal Hillary Clinton's bid to gain control of the White House. Donald Trump may well have used his privilege and wealth to avoid killing and being killed by the Vietnamese, as did so many other wealthy Americans back then. Whether Donald Trump dodged the draft out of self-interest, or for more altruistic reasons, is beside the point in 2016. ... a whole lot of others, Donald Trump's nomination for President of the United States in defiance of the Republican and Democratic Party establishments is an act of courage and should be recognised as such.